No strings. No questions. Just pleasure. For a few blissful days, Lieutenant Commander Nic Savino is enjoying a wild fling with the sexiest stranger he’s ever laid eyes—or any other body part—on. It’s almost enough to make the stalwart SEAL let down his guard for once. Until he learns that assistant US attorney Darby Raye—his Darby—is heading an investigation designed to destroy him…and Poseidon. Lieutenant Commander Nic Savino and US Attorney are both on "forced" vacations when they run into each other. Nic and Darby both agree to a vacation fling with no strings attached. They also have rules such as: no taliking about their jobs, no personal questions, and no last names. What starts off as a fling quickly turns into more, with feelings getting in the way. Before Darby can tell Nic how she feels, he is called back to work as his team is under scrutiny, fire. Back home, Darby is given a case that can propel her career to the next level. While performing due diligence, Darby realizes "her" Nic is the person she's investigating for treason. Darby wants the case and the promotion, but doesn't want it at the cost of ruining Nic's career. Working to discover the the truth, she inadvertently places herself in harms way. Will the Posiedon team be able to clear their commander and save the girl? I haven't read the other books in the series, but can honestly say this novel can be read as a stand alone. I can't wait to go back and read the other novels in the series, especially if they're as suspenseful and thrilling as this one. The ending had so many surprising twists, that I honestly had no clue who the real threat was. I was completely wrong in my guess! I love that it wasn't predictable. I read a gifted copy and all opinions stated are my own. Instant attraction, sizzling chemistry and a steamy vacation fling! 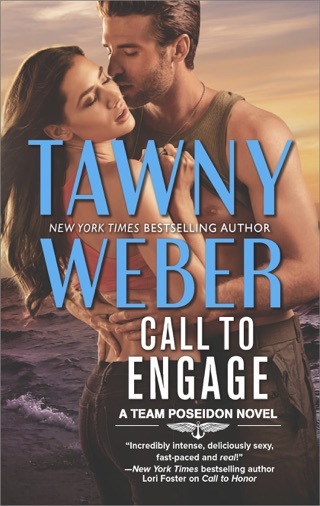 With the next book in her Team Poseidon series, Tawny Weber does not disappoint! Nic and Darby are a joy to read, and when real life comes out to play, they must find their way through a dangerous situation in order to find their happily ever after. Strong characters and a culmination of intrigue that has been building throughout the series brings us to a peak that will change the team forever. Great addition to a fun series! When NavySEAL and Team Poseidon leader Nic Savino is forced to take some downtime, he heads to his favorite vacation spot to decompress and enjoy a slice of paradise. An instant spark with a fellow vacationer leads to a promise of no strings fun for the duration of his time there. Assistant US attorney Darby Raye can't believe that when she gets back home after the vacation fling of a lifetime that her mystery lover is all of a sudden public enemy number one and on her docket! She finds it hard to believe that the kind-hearted man that she met in Paradise is a traitor to his country and teammates. When they secretly reconnect to try to figure out who is framing him and why, will it lead to a happy ending or will she lose her job as well as her man when he's found guilty? I received a complimentary copy of this book and loved it SO MUCH, I purchased a copy!!! I just love this book. It along with all of the Team Poseidon novels are just fantastic. I am going to read them all again but back-to-back this time. Ms. Weber has such a gift of storytelling that you feel that you are right there in the middle of the scene. It really plays out like a movie. I have looked forward to this story for a long time. The wait was definitely worth it. 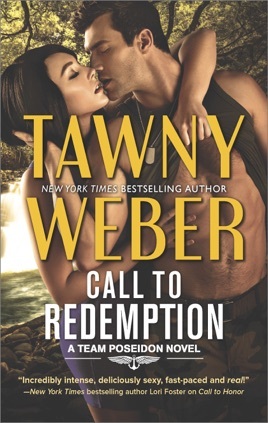 I highly recommend this novel if you love military and mystery romances!! !